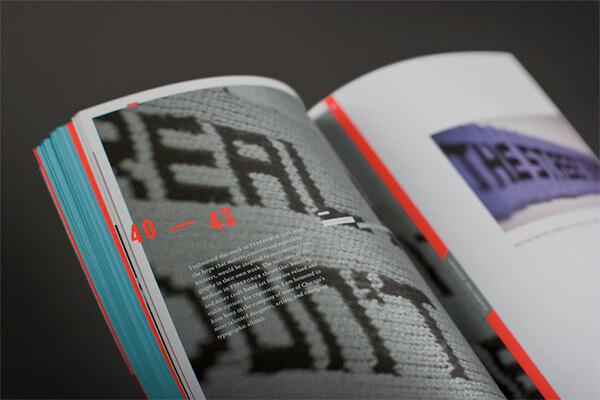 See the Typeforce 2 Title Wall installation process video and project here. 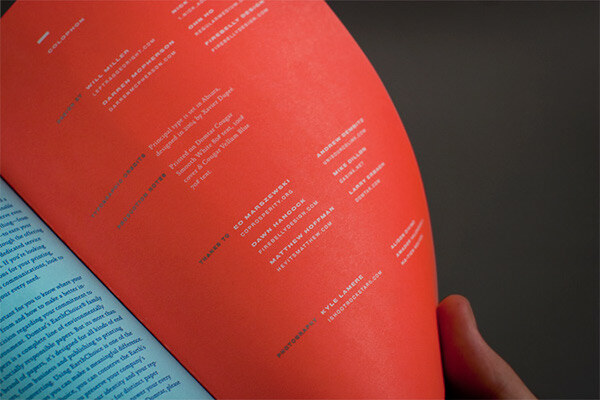 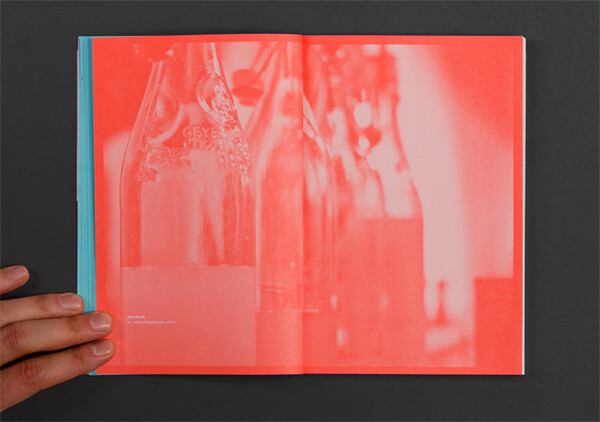 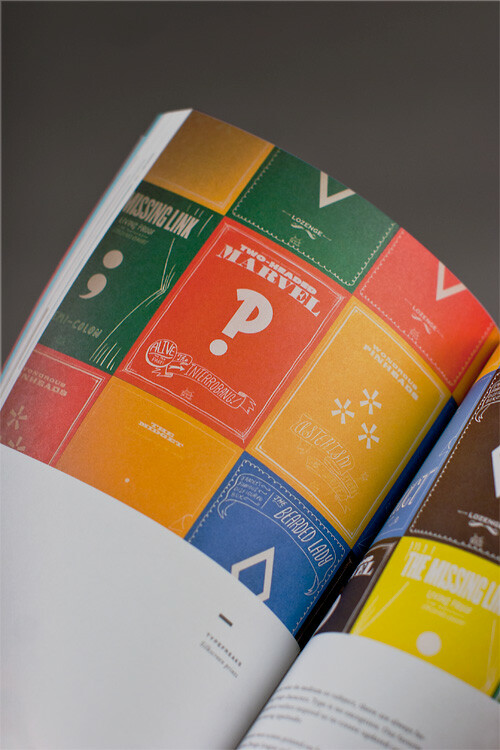 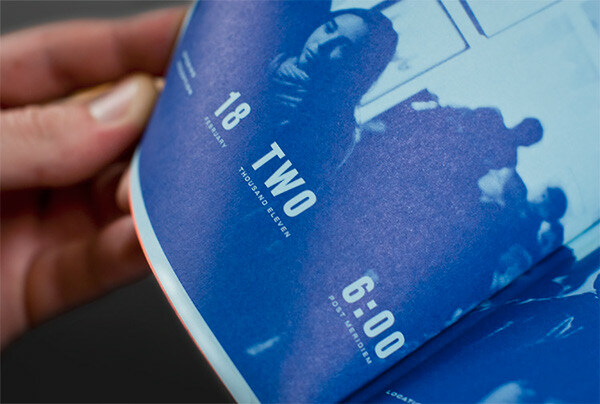 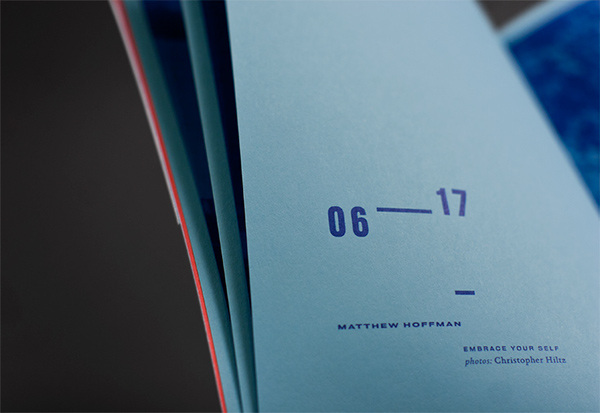 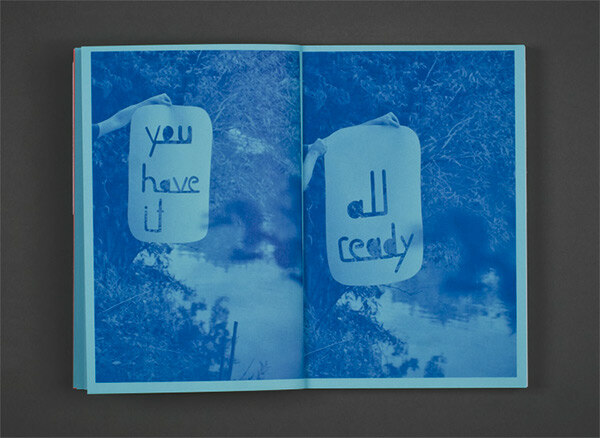 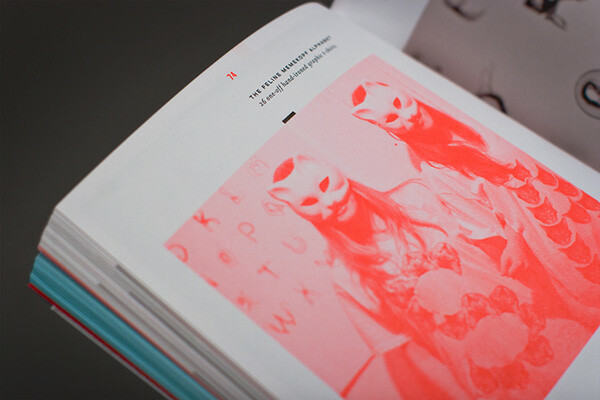 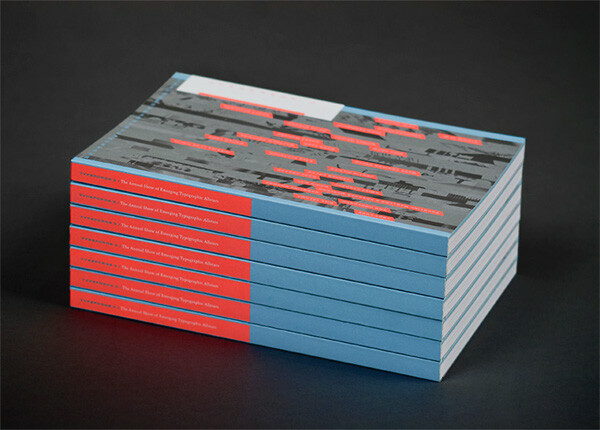 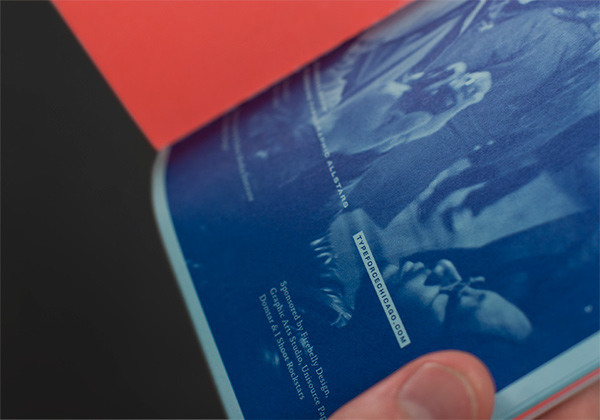 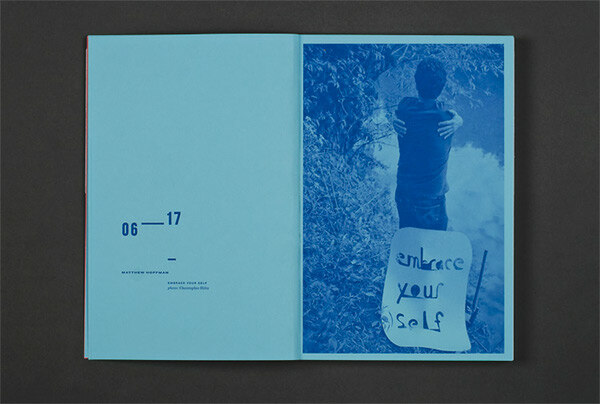 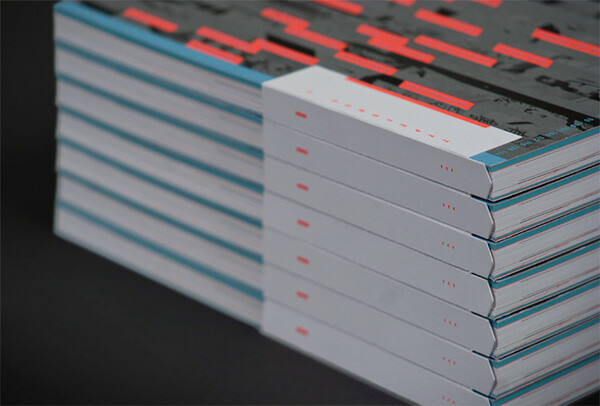 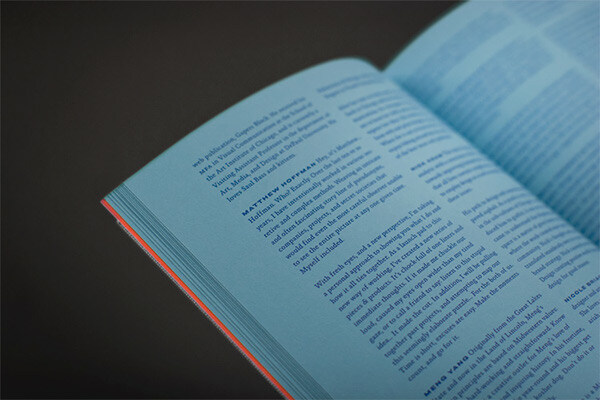 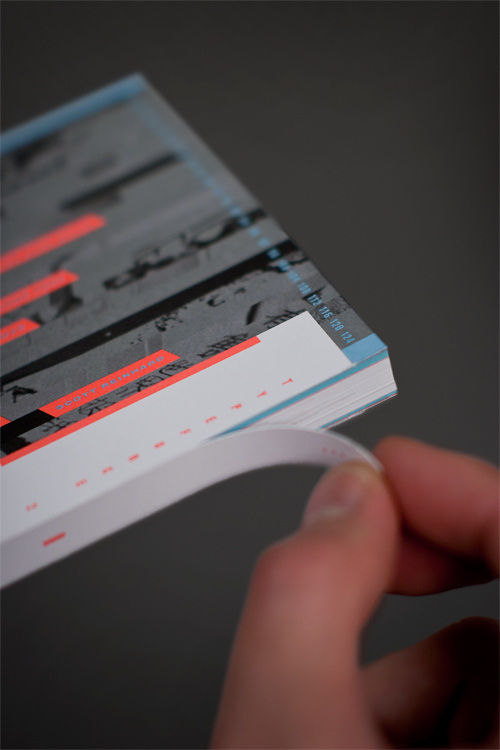 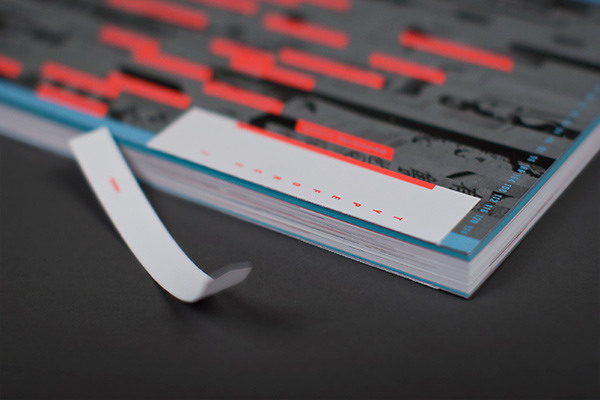 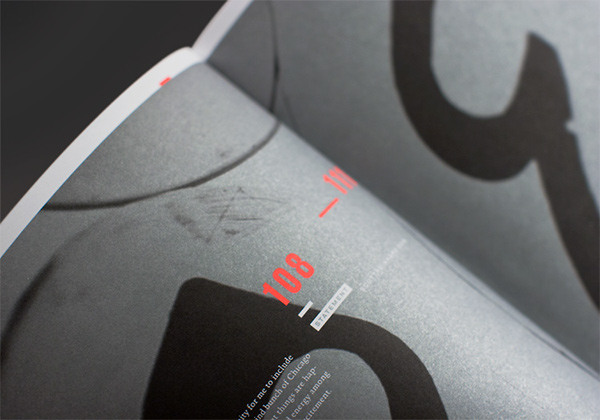 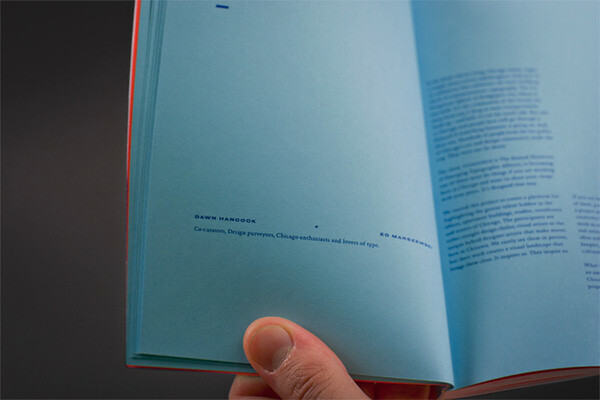 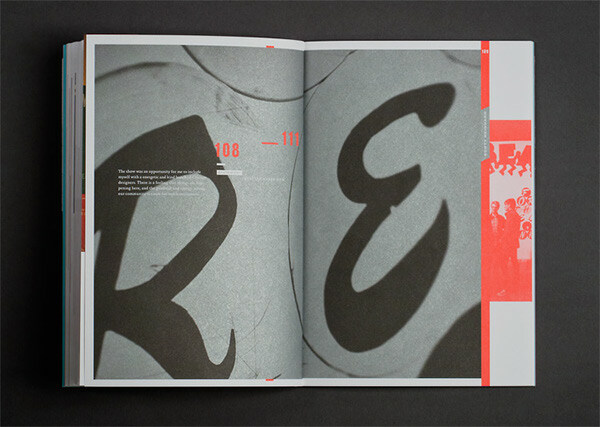 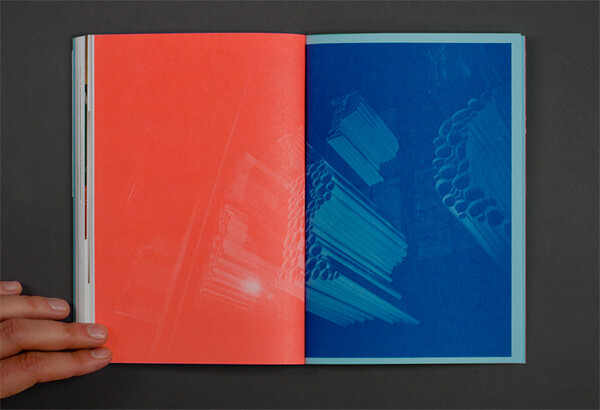 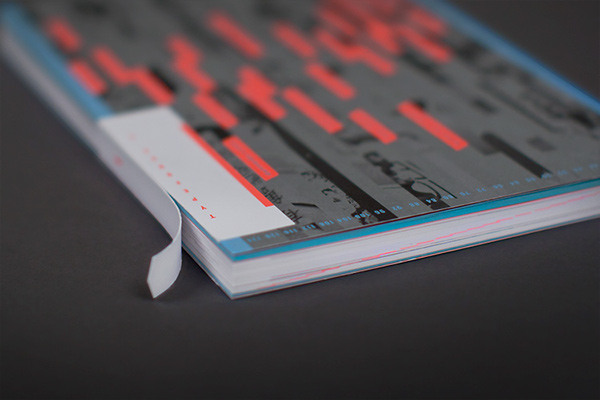 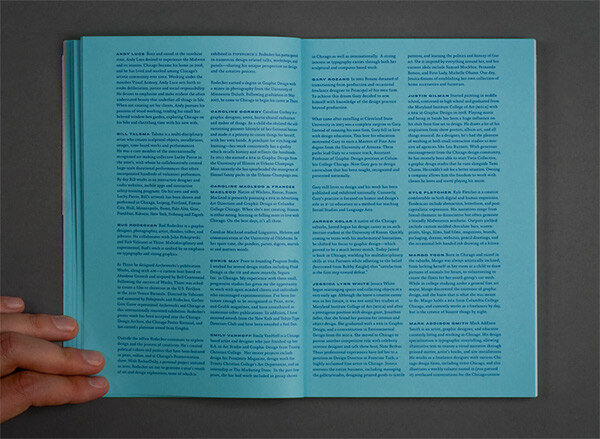 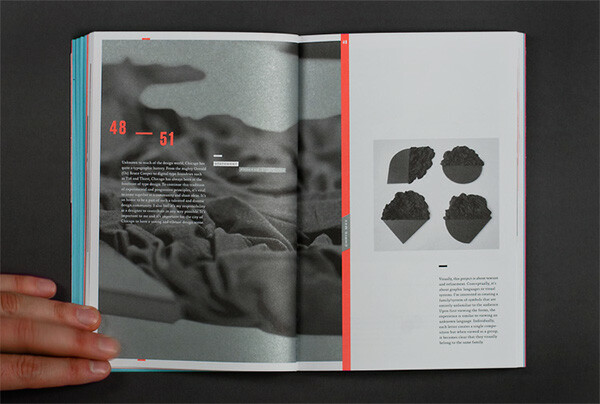 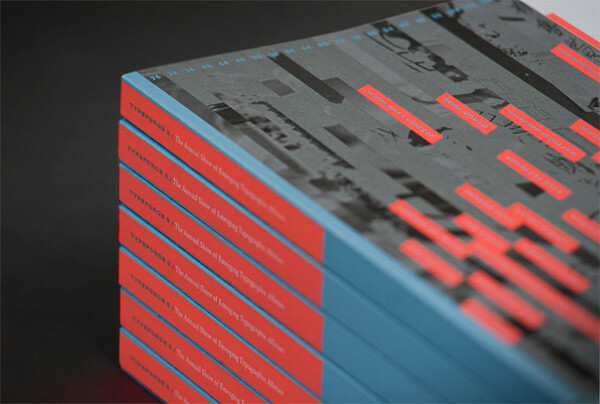 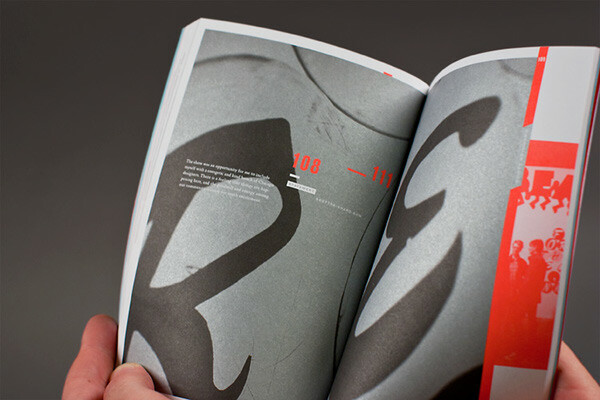 See the first Typeforce Catalogue here. 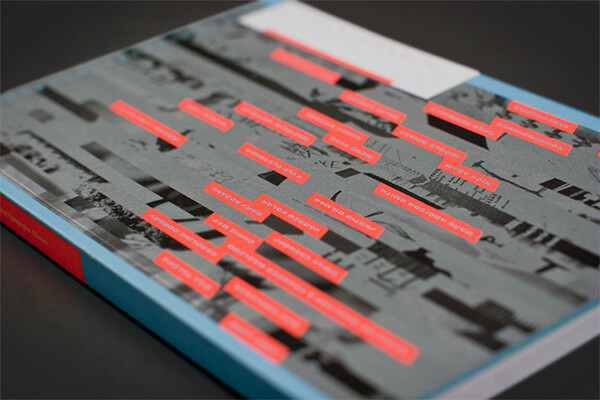 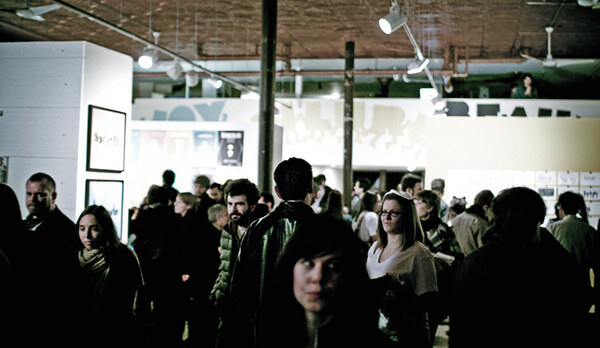 This project was a collaboration between Will Miller, Darren McPherson, Nick Adam, Ohn Ho, Firebelly Design and Co-Prosperity Sphere. 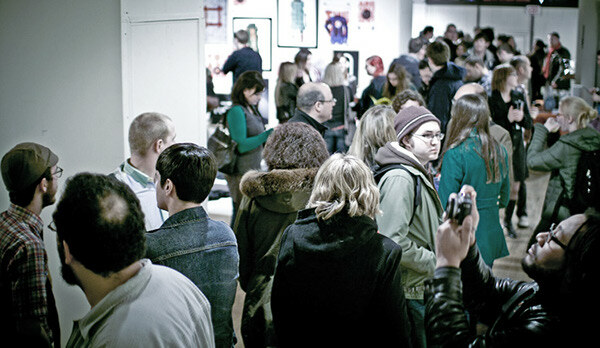 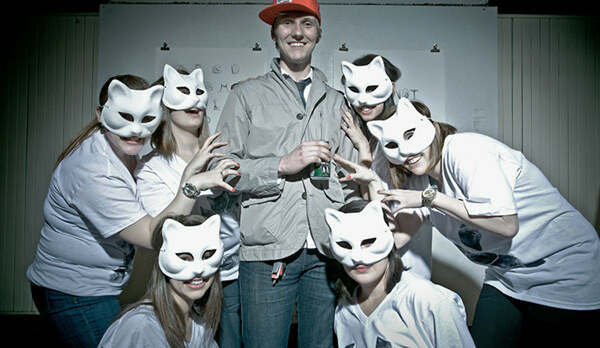 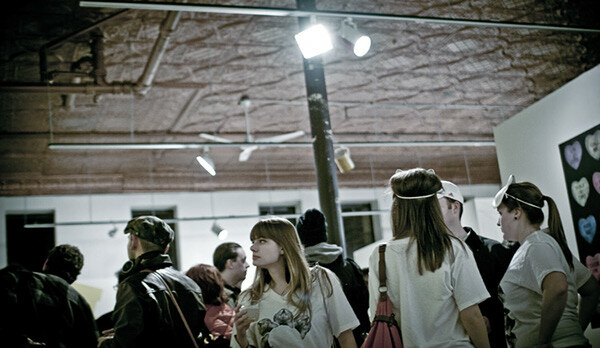 Exhibition and event photography by iShootRockStars (Kyle LaMere). 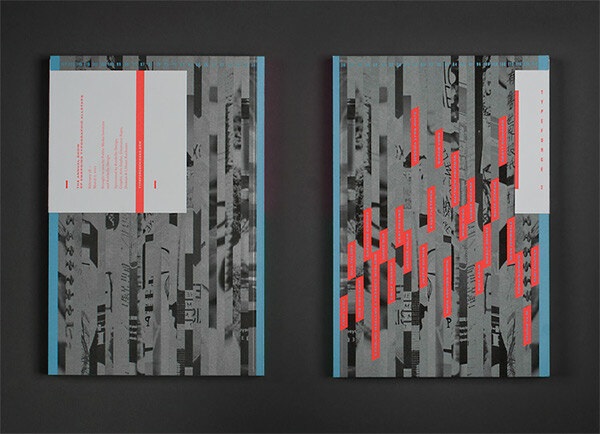 Paper stocks generously donated by Unisource Paper and printing donated by Graphic Arts Studio. 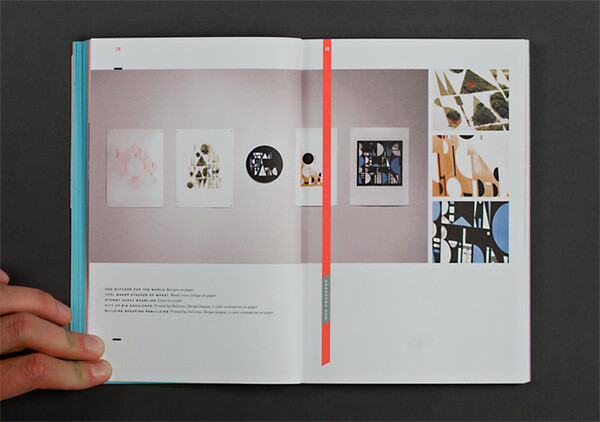 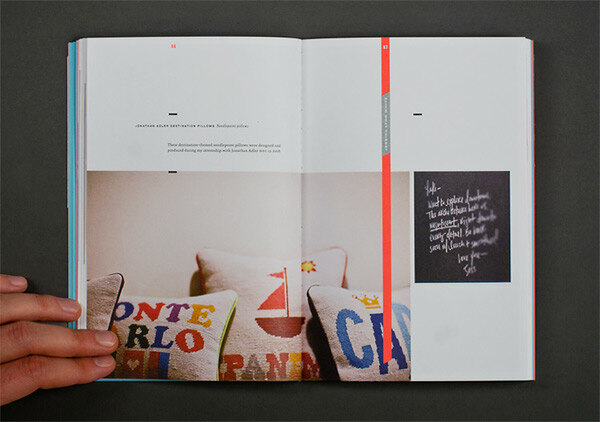 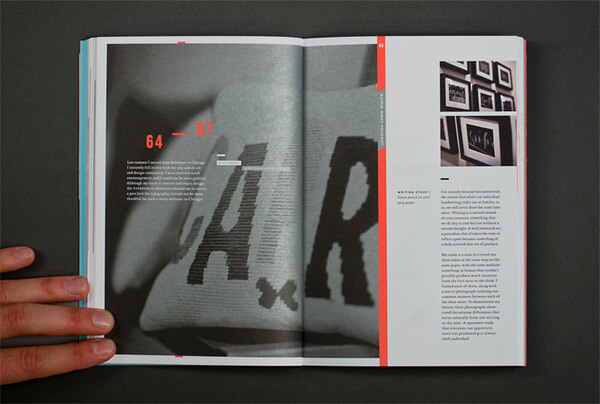 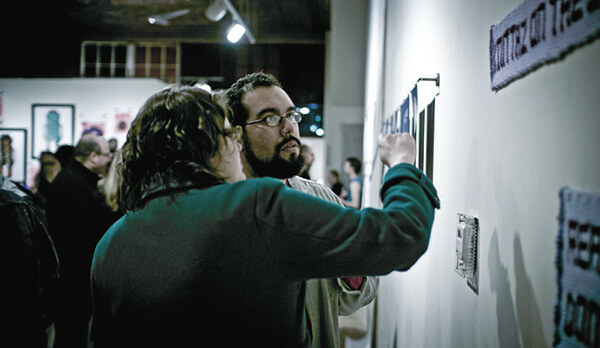 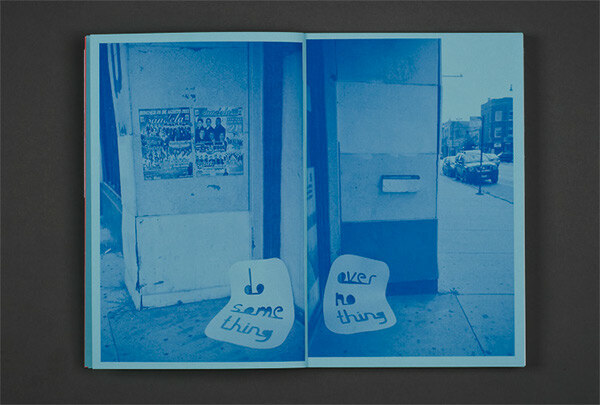 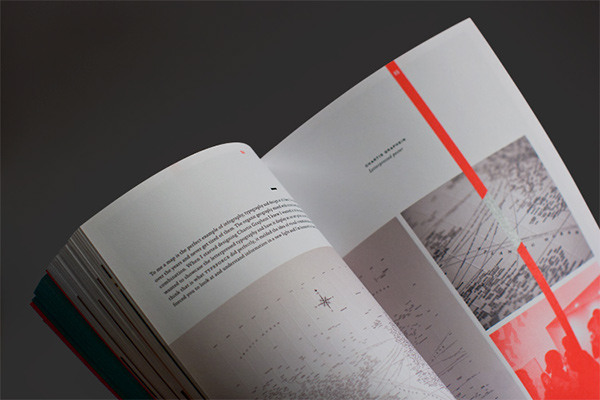 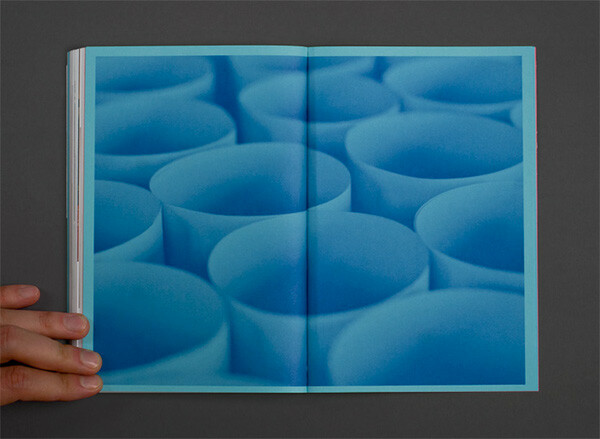 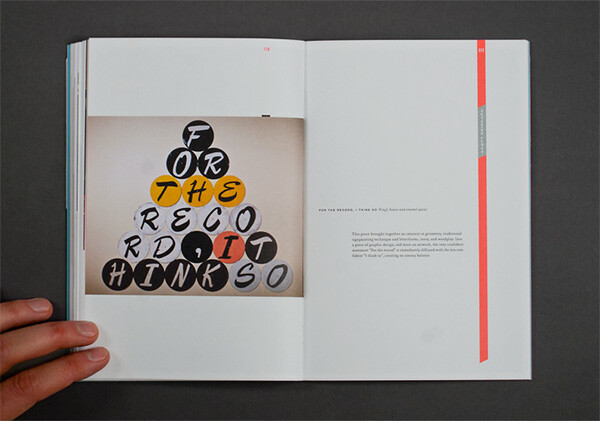 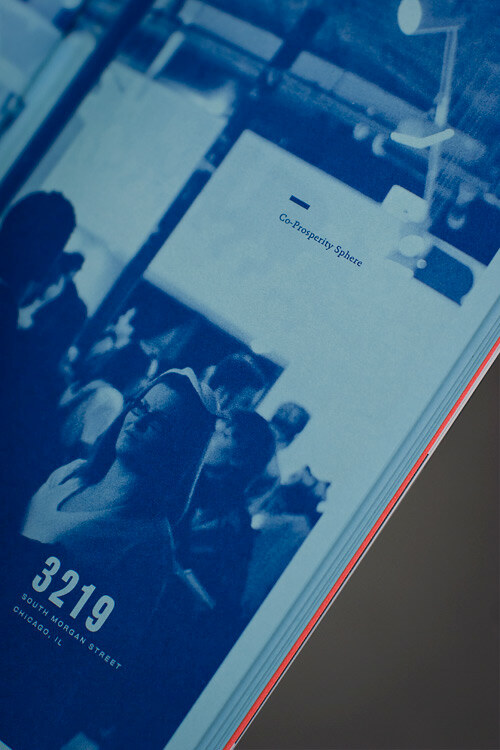 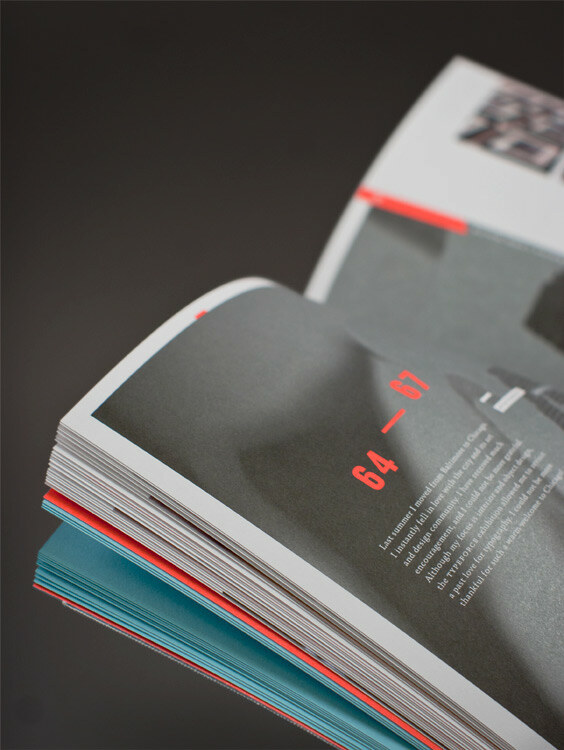 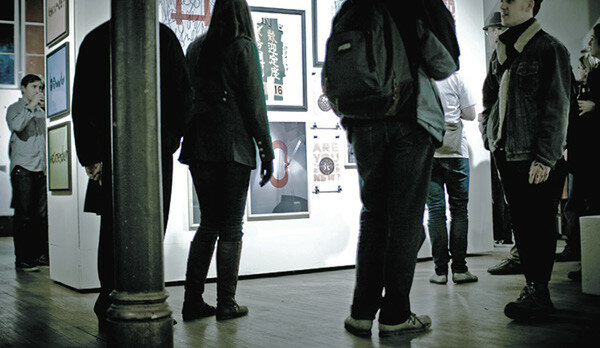 Typeforce 2 is both a catalogue of typographic artistry, and a recount of the gallery reception experience. 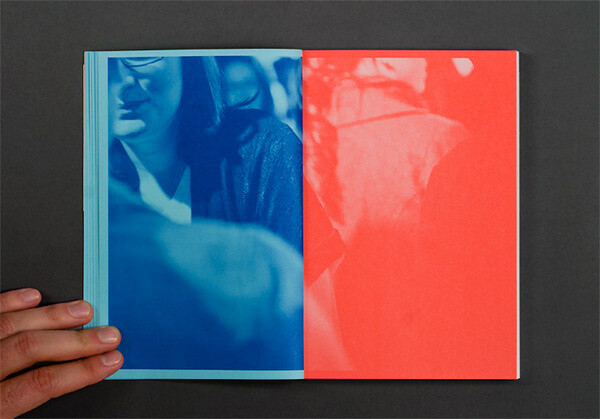 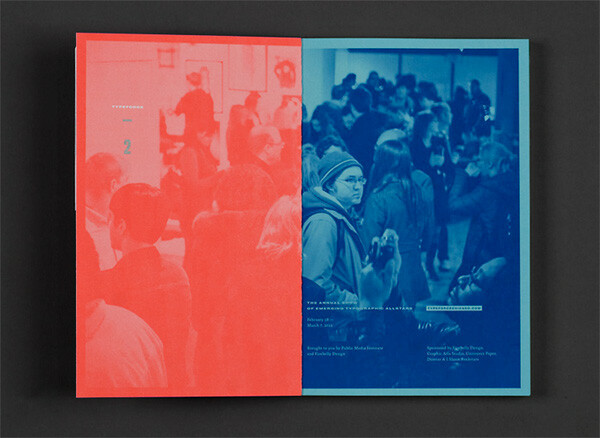 Broken up into three distinct sections, we set out to mesh a sense of tradition and energy through colorful visual cues; the motivation (blue), the substance (full color), and the experience (red).